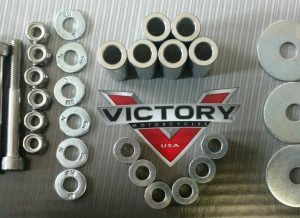 Quick Release Saddle Bag Bracket kit for Victory Motorcycle Fits Victory Motorcycle Vegas, Victory Motorcycle High-Ball, Victory Motorcycle Vegas 8-Ball and Victory Motorcycle Kingpin, Victory Motorcycle Gunner. 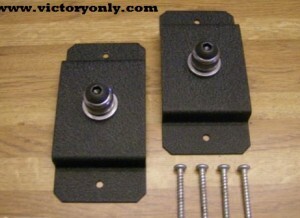 The docking posts or spools attach to the two mounting holes in the fender rail. 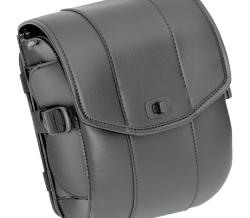 Easy Brackets are a quick release detachable saddlebag system that allows you to attach or take off your saddlebags in a matter of seconds. 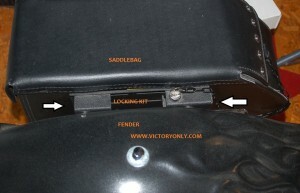 Victory Motorcycle removable motorcycle saddlebags system, perfect for installing and removing saddlebags in seconds. They provide safety and security with models for most US and import cruisers. They are easy to install. They do not require the use of saddlebag support brackets. 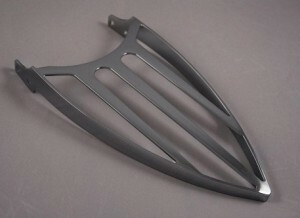 All metal construction with black powder coating for strength and durability. All hardware for mounting provided. 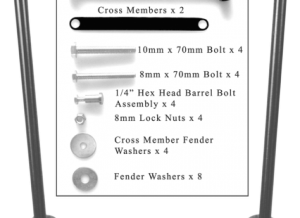 Please note, when you purchase 1 set of Easy Brackets the kit includes both the left and right side brackets and all required mounting hardware. 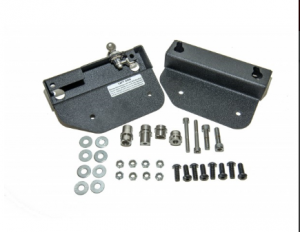 The Easy Bracket Saddlebag Bolt-on Support Systems allows you to attach your Victory Motorcycle saddlebags safely and securely. 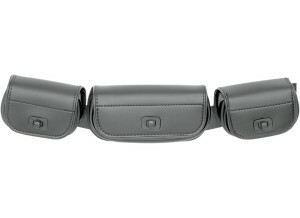 When installed, simply unlock and lift the saddlebags off your motorcycle. The seamless design leaves no ugly hardware behind. Place the saddlebags/mounting plate system onto the docking posts. An easy keyed locking mechanism makes sure that the saddlebags are secure to your Victory Motorcycle yet leave only small docking posts when the bags are removed. Fits Victory Motorcycle Vegas, Victory Motorcycle High-Ball, Victory Motorcycle Vegas 8-Ball and Victory Motorcycle Kingpin.